For each added element you can choose how to display your content: carousel, filter, load more button or pagination and sort the content by date, likes, number of views, etc. You can also choose your layout: full width or with sidebar and enable the mosaic, grid, thumbnail or list-view. The site uses unlimited sidebars for you to be able to insert as many widgets as you need to get the most of your theme: Categories with icons, Content tabber (hot posts, new, comments, tags), Flickr, Twitter, Latest posts, Social media, Top authors. The Revolution Slider presented in the demo is ALREADY INCLUDED in the archive. Tripod comes with a .PO file that allows you to translate the theme into your language. Follow the instructions from documentation. – WooCommerce update. UPDATE FOR WOOCOMMERCE 2.2.8. PLEASE UPDATE YOUR WOOCOMMMERCE INSTALLATION TOO. THAT’S MANDATORY. 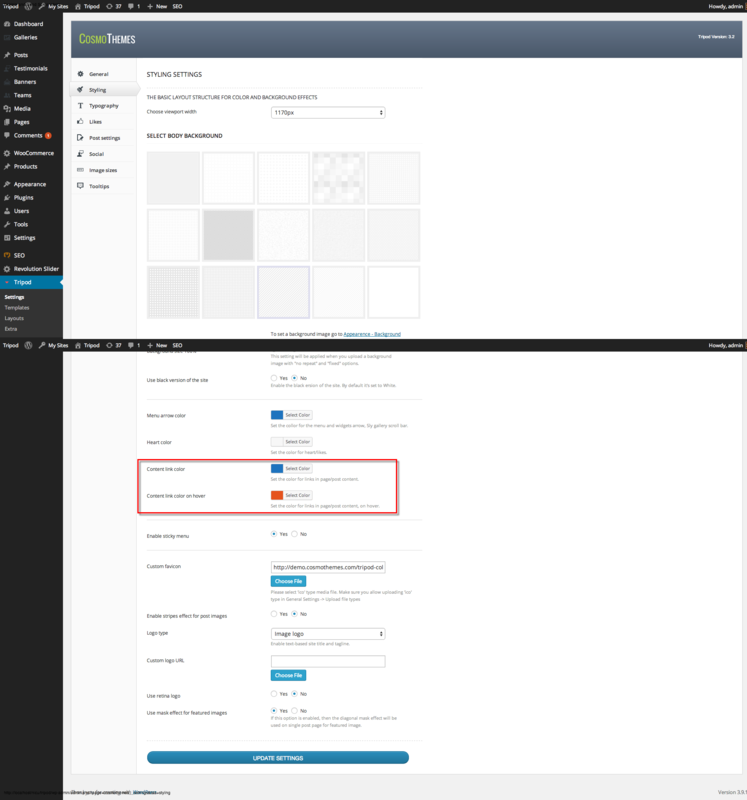 – Added related posts options for all galleries except Sly and Image Flow. – fixed the featured image mask on single posts, when “image crop” is checked. – added option to change the color for the menu arrows, widgets arrows, Sly gallery scroll bar and heart.